Sometime in the early 1960’s a young boy was born to a poor family in Kracheh province; his name was Pin. He was born into a time of war and political unrest. 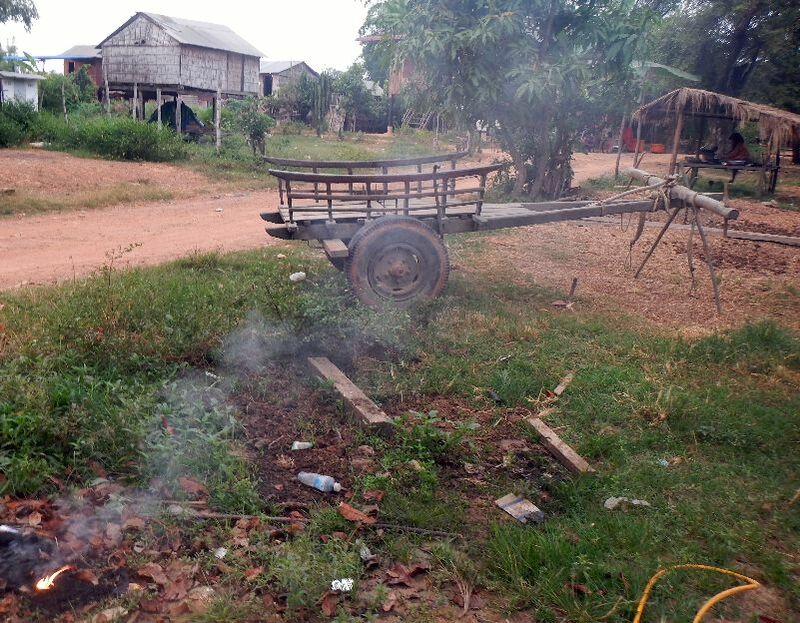 By the time Pin reached nine years old the Khmer Rouge had already taken over the rural eastern region and were threatening villagers and taking children captive to build their army of peasant soldiers. One day Pin’s mother was threatened by the Khmer Rouge and she begged for her life. She offered her young nine year old son as a ransom for her life. That decision cost him 30 years under the Khmer Rouge as a soldier committing untold atrocities in decades of jungle warfare. In the year 2000 Pin heard about Jesus through a local Christian. This news transformed his life. Anyone who knew him as a Christian would speak of his constant joy and laughter, however, it was a stark contrast to his violent past as a commander in the genocidal Khmer Rouge who slaughtered millions of people. For the next six years as a follower of Jesus he devoted every day to traveling to areas he had previously terrorized to joyfully share about Christ. In six years he personally led more than one thousand people to Christ and started most of the churches in Kracheh province. It was Pin who also shared Christ in the village of Chu-turn where Phalla’s and Kuylay’s families believed in Jesus and are also now students at UPH. In the year 2000 Pin reunited with his mother and led her to Christ. He cared for her until she passed away. On October 18, 2006 during a demonic attack against the Imparting Smiles Children’s Center in Kracheh Pin died in his sleep. He left eight young children with the hopes of a great future for them in Jesus Christ. Three children, including Samnang lived at the Imparting Smiles Center. 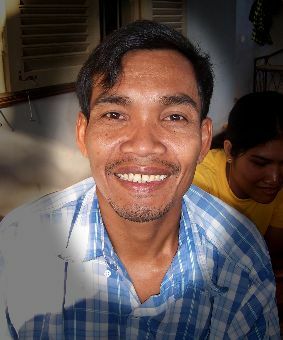 Samnang’s father, Pin, is buried at the Imparting Smiles Children’s center as a testimony to the lives who have been changed there because of his sacrifice. Samnang, the 4th child of Pin, has always loved music and maybe it is a way that helps him to deal with past pain in losing his father. Samnang comes from a very poor family who was divested by the loss of his father. His persistence in education has been the way Christ is changing his destiny. In 2014 Samnang became the first of Pin’s children to graduate from High School. His father’s childhood was destroyed by brainwashing him into becoming a killer forced to fight against an enemy he didn’t chose. Samnang has been able to grow up a young boy, playing volleyball and soccer and learning to play music instead of firing a machine gun. 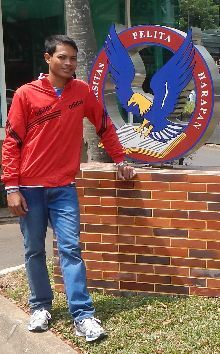 Samang was accepted to study at Universitas Pelita Harpan (University of Life and Hope) in their new International Teachers College in Jakarta, Indonesia. The village which Samnang’s mother and other siblings live in is very poor and completely dissimilar to his university life. Upon completing his degrees there he will return and teach a new generation of Cambodians. He is one of the first children from Imparting Smiles to study overseas and the first from any of his relatives and village to attend university, much less travel abroad. Samnang was named by his father with a name to try and induce luck before he became a Christians. Samnang’s name means “lucky”. Now Samnang knows that the path of his life has nothing to do with “luck” but because Christ has redeemed his life for a greater purpose!